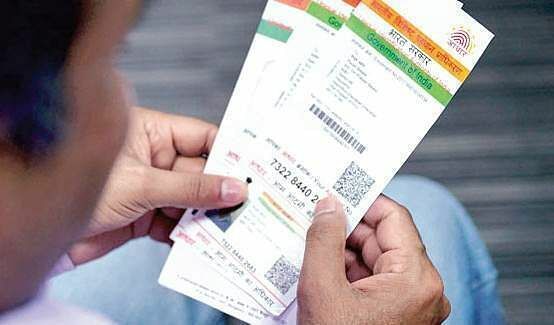 The top court, which is weighing petitions on the legitimacy of the federal government's demand to make Aadhaar mandatory for services such as bank accounts and mobile phones, set no new deadline until it had given judgment in the case. It, however, said the government may continue to seek the 12-digit national biometric identifier number of beneficiaries for transfer of benefits of schemes funded from the consolidated fund of India. The Supreme Court said, "SC extends March 31 deadline for Aadhaar linkages till the constitution bench delivers judgement on the matter", adding, "The government can not insist for mandatory Aadhaar even for the issuance of Tatkal passport". However, it is still mandatory to link your welfare schemes with Aadhaar to get benefits under Article 7 before the deadline. The apex court also clarified that the "benefits, subsidies and services covered under Section 7 of the Aadhaar (Targeted Delivery of Financial and other Subsidies, Benefits and Services) Act, 2016 should remain undisturbed". On March 13, matters reached a peak when advocate Vrinda Grover moved the Supreme Court against the linking of tatkal passport service to Aadhaar. The data disclosed with linking the Aadhaar to every service has exhibited a person's full profile comprising of spending habits, friends, and other private information, in public domain. The 2017 judgement on privacy was a huge win as it reiterated the fact that the right to privacy is a fundamental right. Having said that, even if the deadline to link Aadhaar with mobile numbers has been extended, we suggest you link your Aadhaar with your mobile number at the earliest before some new rules kick in. There have been several cases of Aadhaar data breach. Since 2014, the government of Prime Minister Narendra Modi has been trying to mandate the use of Aadhaar for everything from filing income tax to the registration of mobile phone numbers and booking railway tickets, and for casting your vote. Now the Constitution bench has clearly said the deadline will be decided only after the court passes its final judgment on linking the Aadhaar to various services.